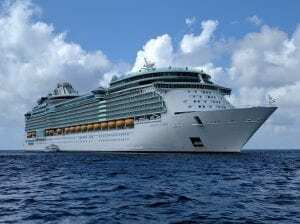 Join us for a cruise in the Caribbean, September 22-30th 2018! Registration is now open with early bird pricing! Prices go up Jan 31st, so book soon! 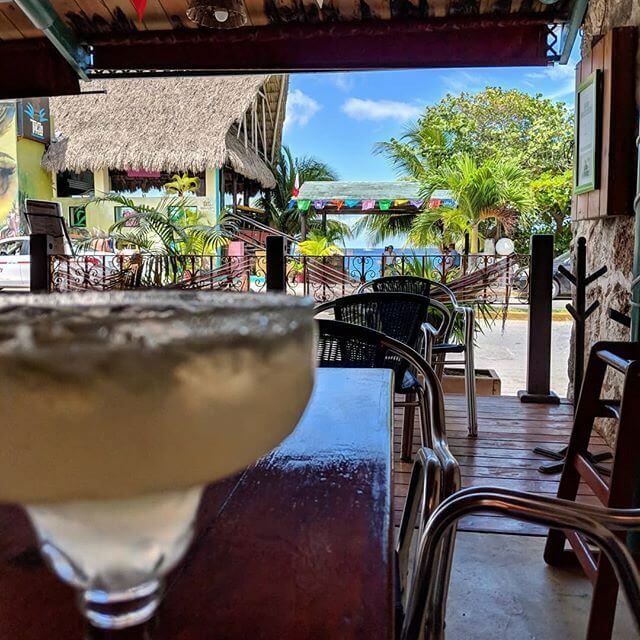 If you’ve never done one of our cruises before, they’re a kind of magical mix of class time, writing time, and screwing-around-in-a-cool-place time. We don’t know how it works, but it does, and you’ll love it. We did the math, and doing this on a cruise ship is really the least expensive way for us to give you a full week workshop. Plus, you get writing views like this. This is from the writing date in Cozumel. We are definitely going back here. We will board in Galveston, TX, and spend a week at sea, stopping for excursions in Cozumel, Georgetown, and Falmouth. The event actually begins two days before we board, in a Houston hotel, where we’ll register and get to know each other, and have a few classes. We’ll have one or two classes a day, taught by our amazing guest instructors, as well as live Writing Excuses episodes with the hosts of the show. Brandon Sanderson will teach a class in Houston, and we’ll be joined by Piper Drake, Kathy Chung, K Tempest Bradford, DongWon Song, and more to be announced later. And of course, Mary Robinette, Dan, and Howard. For each stop, we’ll pick three “official” Writing Excuses shore excursions and announce them this Spring. You can sign up with us for one of those and know that you’ll be with our same group of awesome writers and instructors. If you want to do an excursion that’s not one of our official picks, you can arrange it directly with the cruise. Prices are Double Occupancy, which means you’ll share your room with another person. If you bring your own roommate, awesome! If not, we’ll put you with another writer from our group. Spouses and significant others who want to come with you but are not writers will get a discounted rate. Children get a hugely discounted rate. Imaginary friends are FREE. As before, we will have a number of scholarships available. The application process will be announced in January. I have a registration question. Should I leave a comment here? The best way to contact us for WXR 2019 purposes is to use the “Contact Writing Excuses” link at the bottom of the Registration page. Scroll all the way down to “Contact the Organizer”. We’d have linked it directly here, but it’s an embedded thingy. You can also email questions to writingexcusesevents@gmail.com. I’ve already been on your cruise thingie. Why should I come again? Family Punch Card: Anyone with a family ticket will get a punch card that will allow them to attend 3 classes with their writers. These classes are normally for writers only, but we’ve found that having a common language can help both writers and family members, and this is a good way to build that language. Two nights at the hotel: We have added an extra day on the front end, which lets us do stuff like have a class with Brandon at the hotel, have the option to tour NASA with Mary Robinette, and other secret awesome stuff that I can’t tell you about yet, cause all the details aren’t worked out. Mwah ha ha! Other Exciting Announcements to come: We’ve got some new stuff in the works, and it’s going to be quite excellent. We’ll announce as soon as we can. I’m an introvert who doesn’t do well in big groups of people. Will I survive an event like this? One Of Us! One Of Us! Honestly, most of our attendees are introverts too, including all of the hosts and most of the guest instructors. Some of us are better at faking it than others, but we know where you’re coming from, and we feel your pain. We’ll make sure to have lots of quiet little hidey-holes all over the ship where you can go when it all gets too much. It’s not called a “retreat” for nothing. You keep saying it, but will I really have time to actually write while on this cruise? You will definitely have time, but it’s up to you how to use it. We give prizes every year for the Most Words Written, and last year the winner had more than 40,000. We also have a proud history of board game nights, dancing, karaoke, and impromptu martial arts demonstrations. Whatever you want to do with your free time, you can probably do it at this event. What level of writing expertise should I have attained prior to attending? Level of expertise” is far less important than your desire to improve. The workshop is structured to be accessible and useful for new writers with a passion for learning, and to be challenging and rewarding for seasoned professionals looking for refinement, or additional perspectives. Different classes will be designed for different levels of experience. Delia Sherman and Ellen Kushner will be instructors on the WXR 2015 Workshop and Cruise! One of the things that we’ve liked about the Writing Excuses Workshop and Retreats in the past has been that we’ve had a small student teacher ratio. When we were setting up the cruise, and decided to remove the membership cap, we knew that we wanted to try to preserve that intimate student experience. We brought Nalo Hopkinson on board immediately. Our plan was to add additional teachers as the size of the membership grew. We have 110 students and 36 additional family members cruising with us. It’s time to add more teachers. 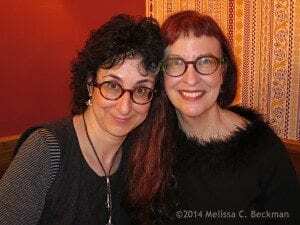 Allow me to introduce Ellen Kushner and Delia Sherman, who will be joining us for the cruise. You might remember them from their appearance on the show talking about Interstitial Fiction. But here are their formal bios which tells you a little bit about how very cool they are. Delia Sherman was born in Tokyo, Japan, and brought up in New York City. Delia’s short fiction for adults has appeared most recently in the anthologies Naked City and Queen Victoria’s Book of Spells. Stories for teen readers have appeared in numerous anthologies, including Steampunk! and Under My Hat. “CATNYP,” a story of a magical New York Between, inspired her middle grade novels Changeling and The Magic Mirror of the Mermaid Queen. The Freedom Maze, a time-travel fantasy set in Louisiana, was awarded the Norton Award, the Prometheus Award, and the Mythopoeic Award. Her recent collection of short fiction, Young Woman in a Garden, has appeared on PW’s list of Best SF of 2014. She has worked as a contributing editor for Tor Books and has co-edited the fantasy anthology The Horns of Elfland with Ellen Kushner and Donald G. Keller and The Essential Bordertown with Terri Windling, as well as two anthologies of Interstitial fiction, Interfictions 1, with Theodora Goss and Interfictions 2, with Christopher Barzak. She is Executive Editor of Interfictions Online: A Journal of Interstitial Arts. She has taught writing at Clarion, Odyssey, and in the MA program in Children’s Literature at Hollins University. Ellen Kushner is the author of Thomas the Rhymer (World Fantasy and Mythopoeic awards), the interconnected novels Swordspoint, The Privilege of the Sword (Locus Award, Nebula nominee), and The Fall of the Kings (written with Delia Sherman). She narrated these as audiobooks for Neil Gaiman Presents (Audie Award). With Holly Black, she co-edited Welcome to Bordertown. A co-founder of the Interstitial Arts Foundation, Ellen Kushner was also the longtime host of the national public radio show Sound & Spirit. She has taught creative writing at Clarion, the Odyssey Workshop, and is an instructor at Hollins University’s Children’s Literature M.F.A. program. She lives in New York City with Delia Sherman and no cats whatsoever. Besides being two of my favorite writers, they are also two of my favorite people. Warm, generous, and boundlessly enthusiastic about the arts and fiction and the interstices between them. In short, we shall have such fun and learn so much at the 2015 Writing Excuses Retreat and Cruise. Also, just a reminder that the window for submitting scholarship applications is still open. 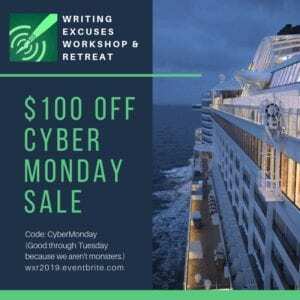 If you wanted to register for the Out of Excuses Workshop and Retreat and didn’t get in, I’m hoping that you might be interested in the Writing the Other Workshop and Retreat. It’s held at the same location, Mary Robinette Kowal’s parents’ house. Mary will be joined by NY Times Best-selling author David Anthony Durham; Cynthia Ward and Nisi Shawl, the authors behind the book Writing the Other; and K. Tempest Bradford, author and activist. On Writing Excuses, some of the most common questions come in as variations of “How do you write someone who isn’t like you.” Many authors struggle to write beyond what they know and write the other. While we tackle this on the podcast, fifteen minutes is not enough time to delve into this tricky and nuanced skill. The Writing the Other Workshop and Retreat is designed with lessons and conversations, paired with a retreat, to give participants an opportunity to work on making their characters and worldbuilding deeper and more thoughtful. And David, Cynthia, Nisi, and Tempest really are that smart. I hope the same urge that makes you listen to Writing Excuses will allow you to consider attending this retreat. As we announced in November, we are holding the second annual Out of Excuses Retreat this year, September 29 through October 5. Last year’s retreat was a huge success, and we’re excited to be doing it again, and we’re especially excited to be offering another scholarship. Even better, this year’s scholarship has a twist: instead of just need and merit, we’re also looking for diversity. Why diversity? Isn’t it enough to just look for the most qualified applicant, regardless of other factors? No it isn’t, and this is why: we make our choice based on merit, but we can only do that within the small, self-selecting group of people who feel comfortable applying. Out of last year’s thirty attendees, we had only one writer of color, which is not even close to a realistic representation of the speculative fiction market. This was a sign to us that something was wrong. Our ratio of men and women was about half and half, which was great; that meant that both men and women deemed our retreat a safe and welcoming environment. Our ratio of white writers to writers of color was a clear sign that some writers did not necessarily feel the same welcome, and we want to change that. To that end, we are proud to partner with the Carl Brandon Society, an organization dedicated to increasing racial and ethnic diversity in the production of and audience for speculative fiction. We hope that focusing our scholarship in this way will not only give a great opportunity to a worthy writer of color, but encourage other writers of color to sign up for the retreat as well. No matter who you are, we want you at our retreat! The scholarship applications will be reviewed by a selection panel from the Carl Brandon Society, consisting of Wesley Chu, Silvia Moreno-Garcia, John Lawson, and Tempest Bradford. A brief example of your writing, consisting of 1-3 separate pieces and totaling no more than 10,000 words. These can be short stories or novel excerpts. Don’t feel obligated to fill the word count: if you can wow us in less, more power to you. A 450-700 word personal essay explaining why you are a good candidate for the scholarship. What makes you unique? What can you bring to our group that no one else can? Keep in mind that even as we focus on “need,” the panel will be reviewing your writing in terms of “merit” as well. Three brief letters of recommendation (no more than 300 words each) from people who are not your relatives. Friends, bosses, people from your writing group, anyone who can tell us exactly how awesome you are. While the fiction and the personal essay should be included in a single email, these letters can be emailed individually by the people who write them, just make sure they include your name in the subject line. We anticipate a huge response to this scholarship, so please be aware that we will be culling the applications relentlessly, and those who don’t follow the rules will be the first to go—just like sending a manuscript to a publisher, submission guidelines matter. Send your fiction and essay all in the body of a single email (no attachments), with the subject line “Scholarship Application: [name].” Your three recommendation letters should go to the same address, with the same subject line, and they can be sent by you or directly by the people who wrote them. Follow the word limits exactly, make sure you’ve got all three items covered, and don’t miss the deadline: March 15, 2014. We will review the submissions and announce our decision on May 4, 2014, which should give you plenty of time to work out vacation time and babysitters and so on for the retreat in September.